Thomas Cole, View of the Round-Top in the Catskill Mountains, 1827. Oil on panel. Collection Museum of Fine Arts, Boston. Gift of the Martha C. Karolik for the M. and M. Karolik Collection of American Paintings, 1815 – 1865. Photograph © 2011 Museum of Fine Arts, Boston. Wild Land: Thomas Cole and the Birth of American Landscape Painting explores the world of Thomas Cole, an English immigrant painter who revolutionized American landscape painting. Take a walk “into the woods” and step inside the artist’s studio to discover how Cole’s ideas on the natural world shaped our national landscape. Through large-scale banner graphics, immersive environments and other interactive elements, the exhibit traces Thomas Cole’s transformation from an itinerant portrait artist to the founder of the Hudson River School. Discover how Cole transformed nature sketches into a new vision of wilderness, and how the meaning of nature itself has changed over time. Contemplate the importance of preservation and how to live in balance with natural resources. 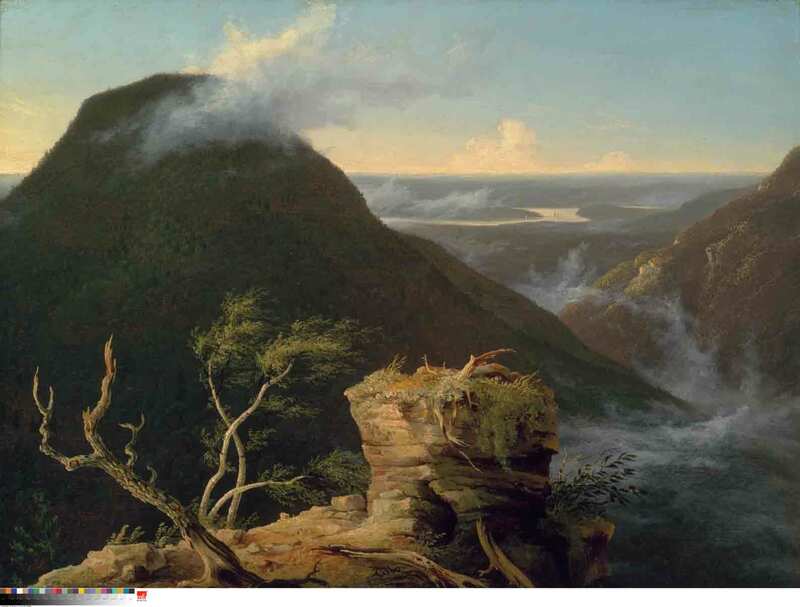 Wild Land: Thomas Cole and the Birth of the American Landscape Painting will be on exhibit at the Park City Museum from June 28, 2014 through October 20, 2014. Check our Calendar of Events at www.parkcityhistory.org/events for upcoming programs related to the exhibit. 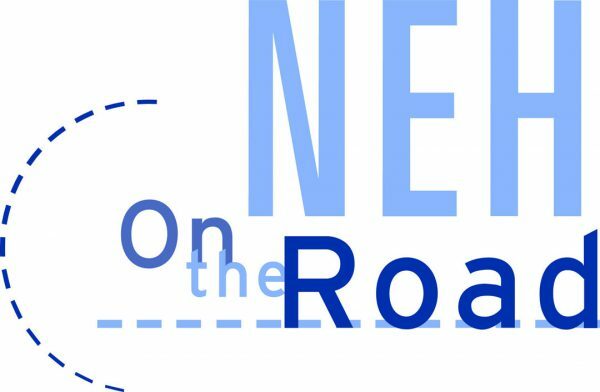 This exhibition has been made possible through NEH on the Road, a special initiative of the National Endowment for the Humanities. It has been adapted and is being toured by Mid-America Arts Alliance. Wild Land: Thomas Cole and the Birth of American Landscape Painting was organized by The Thomas Cole National Historic Site/Cedar Grove, Catskill, New York. The Park City Museum is celebrating creativity, art, and landscape with our latest traveling exhibit, “Wild Land: Thomas Cole and the Birth of American Landscape Painting.” Come unleash your inner artist at an event at the Paint Mixer! The Paint Mixer’s instructors guide you, during a two-hour session, in creating your own art masterpiece. Join us on July 31 (6:30pm), September 19 (6:30pm), or Sunday, October 12 (4:30pm). Visit www.thepaintmixer.com for prices, more information and to register for the event. Mon, September 15, 5:30-6:30, Park City Museum "Cedar Mesa: Sacred. Silence. Solitude." Presentation by Richard D. Pick, local nature photographer. Thurs, September 25, 5:30-6:30, Park City Museum "America's Redrock Wilderness." A presentation by Southern Utah Wilderness Alliance. Tue, October 7, 5:30-6:30, Park City Museum "Seeing Beyond the Postcard: The Art of Loving Nature." A presentation by George Handley, professor of humanities at Brigham Young University. Tue, October 14, 5:30-7:00, Location TBA "Wild Land and Open Space: Conservation in Park City." A panel discussion organized by the Summit Land Conservancy. Thurs, October 16, 7:00 Film Screening of "A Fierce Green Fire" with the Park City Film Series. Visit our Calendar of Events parkcityhistory.org/events/ for more information about these, and other, upcoming events. In the exhibit, there is a space for visitors to sketch their own drawing. We have space set aside space in the gallery for visitors to display these drawings. We are also encouraging people to send us photographs, poems, stories, or more detailed art that expresses how people respond to nature. How does nature inspire local Parkites? We would love to see your creativity! Send your creations to education@parkcityhistory.org or drop them by the Museum. We’ll share works in the exhibit on our Visitors’ Gallery Wall! This Locals Free Day made possible through the generous support of Susan and Tom Hodgson. Click here to see a schedule of hands on family activities that will be happening in the Tozer Gallery. This Locals Free Day made possible through the generous support of Sydney Reed. Click here to see a schedule of hands on family activities that will be happening in the Tozer Gallery. This Locals Free Day made possible through the generous support of Leland and Diana Swaner. This Locals Free Day made possible through the generous support of Jill Johnson. Park City has many wonderful opportunities to go hiking! Check out these local resources to find trail maps and discover the beautiful landscape here in Park City. Tours may be scheduled until mid-October for this exhibit. Please contact Jenette Purdy at 435-649-7457 ext. 5102 or education@parkcityhistory.org for additional information.